India’s food tech landscape has just taken a delicious new twist. Ola has acquired FoodPanda’s India operations in a stock deal, the company has announced. This deal includes the transfer of Foodpanda’s India business to Ola in an acquisition deal in exchange for Ola stock. Ola has also committed to investing $200 million (Rs. 1350 crore) into Foodpanda, which is one of the biggest investments in the food tech space in India. Ola says the power of this partnership will help Foodpanda India grow as it operates in a fiercely competitive market with Zomato, Swiggy and UberEats. 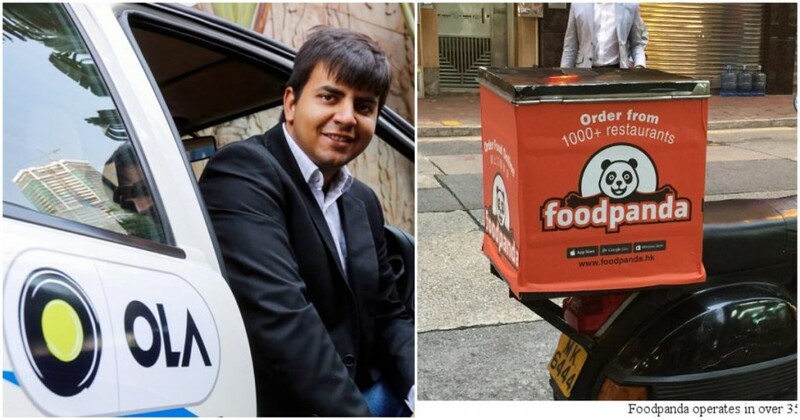 “I’m excited about our partnership with Delivery Hero (Foodpanda’s parent company) as we team up to take Foodpanda India to the next level,” said Ola CEO Bhavish Aggarwal. “As one of India’s pioneers in the food delivery space, Foodpanda has come to be a very efficient and profit focused business over the last couple of years. Our commitment to invest $200mn in Foodpanda India will help the business be focused on growth by creating value for customers and partners,” he added. The deal gives Ola a foothold into the lucrative food delivery market in the country. Arch-rival Uber already runs a successful food delivery service, UberEats, in India and the world, and Foodpanda’s acquisition will help Ola compete with Uber in the food delivery vertical. Ola and Foodpanda could have natural synergies — both companies are essentially involved in transporting people or food through India’s urban cities, and there’s much they can gain from a partnership. The deal also completely throws open India’s food delivery space. Zomato, Swiggy and Foodpanda were thought to be competing in what was essentially a three-way battle, but Foodpanda had been lagging the other two in terms of revenue and orders. With Ola’s backing, Foodpanda again becomes a powerful player, and will look to take on Zomato and Swiggy with renewed vigor. There’s also UberEats waiting in the wings, and will be a natural rival to Foodpanda-Ola combine. After all the chaos of the last couple of years, the Indian foodtech space is again sizzling. Get out the popcorn.